Texas electricity rates are sometimes volatile. Rates change from one day to the next and are influenced by a number of factors including the weather, natural gas prices, and the economy. Rates are also impacted by energy and environmental regulations, as well as competition among electricity providers. Not all areas of Texas are deregulated. Electric cooperatives and city-owned utilities may decide whether their customers will have a choice of providers. Also, customers of Entergy Gulf States, Southwestern Public Service Company, El Paso Electric Company, and AEP SWEPCO cannot choose their own providers. The areas that are deregulated receive their electricity from the state’s electricity grid, which is managed by ERCOT. Competition is key factor in determining the electric rates Texas consumers pay. Because Texas electricity markets are deregulated, consumers have the power to choose their electricity provider. When consumers compare electricity rates between different providers they will often find large disparities in price. There are dozens of retail electric providers in Texas. Including Green Mountain Energy, TXU, Hudson Energy, TriEagle Electricity, StarTex Power, Ambit Energy, Cirro Energy, Bounce Energy, Dpi Energy, Affordable Power, Champion Energy Services, and AmeriPower. There are many energy brokers who will assist you in comparing electricity rates among the various providers and help to locate the lowest rate electricity providers available in a particular part of the state. It should be noted that the lowest cost energy provider in Houston may not necessarily be the lowest cost energy provider in Dallas. Rates differ across the different regions of the state. Credit factors can affect the electricity rate consumers may pay. People with good credit can generally get no deposit electricity plans while consumers will bad credit often have to pay a large deposit. Bad credit electricity plans that require no deposit will generally come with a higher electric rate. The term of the electricity plan will also affect the rate. Many electric providers in Houston offer month to month electricity plans. Other plan terms include 12 month electricity plans, 24 month electricity plans, 36 month electricity plans, and occasionally 6 month electricity plans. The price range of these plans can vary depending on the expectation of future electricity rates. In Texas, 24 months is a common length for an electricity plan. Retail Electric Providers (REPs) sell electricity to you. It is their name on the bill and they handle customer service. Retail Electric Providers compete with each other to win your business. They try to differentiate themselves by offering different rates and pricing options, by creating incentive programs and offering better customer service. 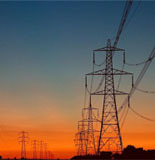 Power generation companies sell wholesale to the REPs, who package the power with transmission and delivery service for sale to retail customers. Most commonly in Texas this electricity is produced using natural gas. However, coal, nuclear power, wind, water, solar power, or other renewable sources are also used to generate electricity in Texas. TDSPs transmit the power. They are responsible for maintaining the poles, and wires, and reading the meters and providing the amount of electricity that is consumed to the REPs. When there is a power outage they are responsible for restoring service. By law, all consumers must be treated equally by the TDSPs regardless of the REP they use. The transmission rates charged by the TDSPs are still regulated by the Texas Public Utilities Commission.